Woman Freebies: Holiday iPad2 giveaway! You are here: Home / freebies / Woman Freebies: Holiday iPad2 giveaway! One of my favorite sites, Woman Freebies, is giving away an iPad2! If you haven’t signed up for Woman Freebies yet, you’re missing out on getting FREEBIES delivered straight to your mailbox! They’ve got great giveaways, too! 2. Once you are signed up, click on the iPad2 giveaway tab at the top of the page! GOOD LUCK! I hope one of you guys is the winner! The contest runs through 1/15/2012. Don’t worry – I’ve been signed up with Woman Freebies for awhile now and I don’t get any spam. I just get great giveaways and freebies a few times each week! Woman Freebies: L’eggs, Chick Fil A, and more! 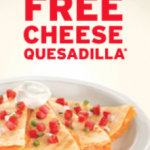 Woman Freebies: free cheese quesadilla at Denny’s + Breathe Right strips! 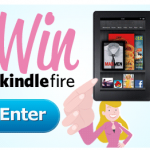 Woman Freebies: Kindle Fire Giveaway! Woman Freebies: Free Cream of Wheat, Free OB tampons + more! 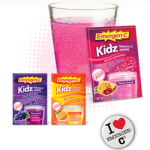 Woman Freebies: Free Armani Acqua di Gioia + Emergen-C for Kids and more! Woman Freebies: free Playtex tampons + free Arby’s sandwich!